Triple Crown hopeful American Pharoah posted his final pre-Belmont Stakes workout Monday morning at Churchill Downs, where he breezed five furlongs in 1:00.08 with jockey Martin Garcia in the saddle and Hall of Fame trainer Bob Baffert on hand from California to watch. 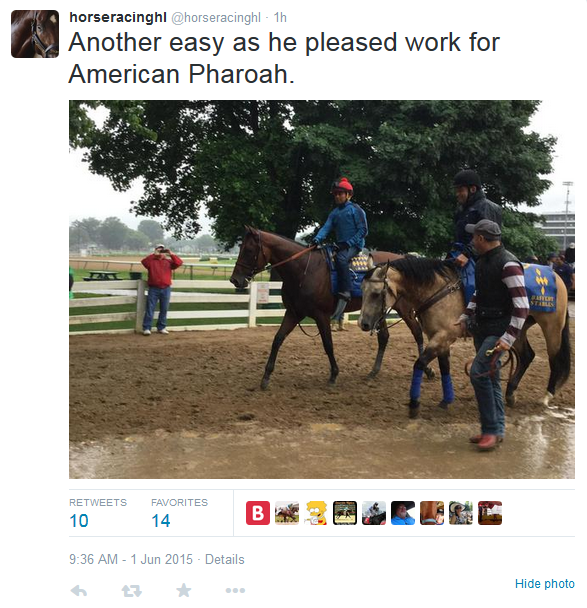 Hard to find any better description for AMERICAN PHAROAH’s performance this morning. Breezing five furlongs with Martin Garcia up, his final Belmont work couldn’t have been any more perfect, five furlongs in 1:00.08 as easy as he pleased with a tremendous gallop out, six furlongs in 1:12.82, seven eighths in 1:25.94, up a mile in n 1:39.59, AP seemingly getting stronger the further he went while giving the appearance that he was just galloping the entire way. 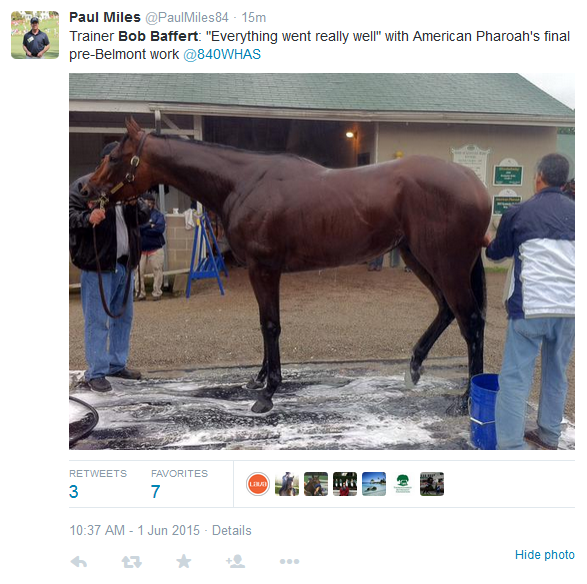 All he seems to need now in New York is a clean trip to complete his Triple Crown sweep in the Belmont. American Pharoah is scheduled to ship up to New York on Tuesday, June 2, and I will continue coverage of the Belmont Stakes throughout the week, so stay tuned!